The locks you’re so used to using and seeing everywhere are, largely, 5-pin locks that use a pin tumbler key to move those pins to the correct height and allow the tumbler to turn. While they are more secure than lock options of the past, a 5-pin lock is easy to pick and a standard pin tumbler is usually easy to copy from any key cutting service or locksmith. One way to improve security is to upgrade to a 7-pin tumbler, as these are more difficult to pick. In addition, there are a variety of different commercial, heavy duty, and high-security locks that make use of different alterations to the usual pin tumbler key in order to make them more difficult to copy or pick. These can include keys that have two different layers of notches on the same edge, which makes them harder to copy and the lock much more complex in terms of picking. There are also locks that can only be turned by keys with dimples on the wide flat side of the key, rather than the narrow edge. On top of these deviations from the standard pin tumbler key, there are also a range of restricted keys. These keys can come in a range of different styles, but the salient point here is that truly restricted keys are called this because key cutting or duplicating the key is restricted to only those who are licensed. This means that, usually, only a locksmith can copy them, and even then, only some locksmiths. 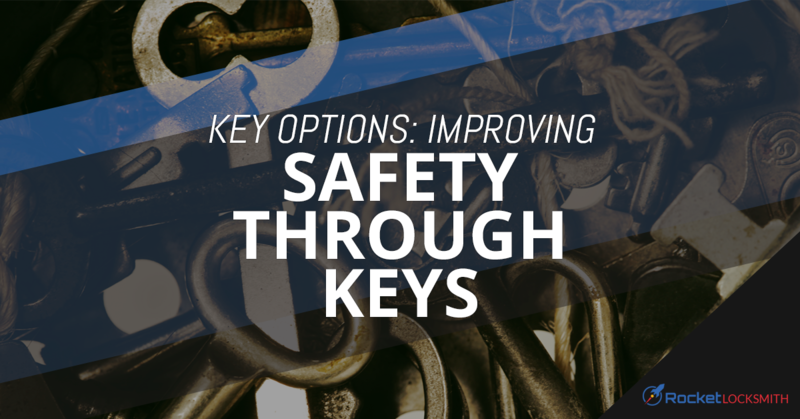 The blanks for the keys are usually only available through the manufacturer and will only be distributed to certain dealers or locksmiths who work with their products extensively. These are also often called sidewinder keys and are the style most often used to make car keys. The laser cut curves inside the key can be uniquely cut so that, unless a match is exact, the key won’t turn the lock (or ignition). These keys usually require a special cutting machine to make them, so they are harder to duplicate. However, this style of key is primarily made for automotive use, so it’s great for car lock security, but it’s harder to find a lock with this key for home use. This style of key is, you guessed it, shaped like a tube. You’ll most often see them used for things like vending machines, but they can also be used for computer security cables and bike locks. It’s harder to duplicate, because it’s less common, but that also means it’s harder to find locks in this style that would be useable on your home or car. If all of this seems overwhelming, don’t worry. The best way to improve the security of your home’s locks is to check with your local lock expert. For everything from key cutting to lock and home security advice in St. Louis, contact the knowledgeable team at Rocket Locksmith today!